RAVENQUEST is truly one of the best fantasy books to come along in a long time. Everyone who reads it loves it. This series is the best and most exciting in fantasy books for adults and yet is family-friendly enough to also be the best fantasy books for kids. If you like fantasy books live Volume 1: Here Be dragons is available for free and read by the author himself. 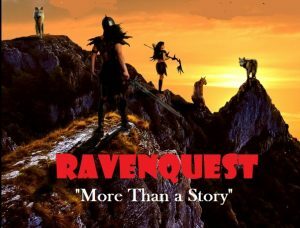 We hope you will read all 7 volumes and agree that RAVENQUEST is truly the best fantasy book series you have read in a long time!